At InnoTrans 2010 it was announced that METRANS a.s. from the Czech Republic had ordered three EuroRunners, numbered 761 001 - 003. METRANS operates container terminals and offers all-in intermodal services throughout Europe. All three units have the freight configuration with larger fuel tanks to enable long distance hauls. Mirel and Indusi safety systems have been installed to use the locos in the Czech Republic and its neighbouring countries. A fourth locomotive was ordered to cope with higher freight volumes. 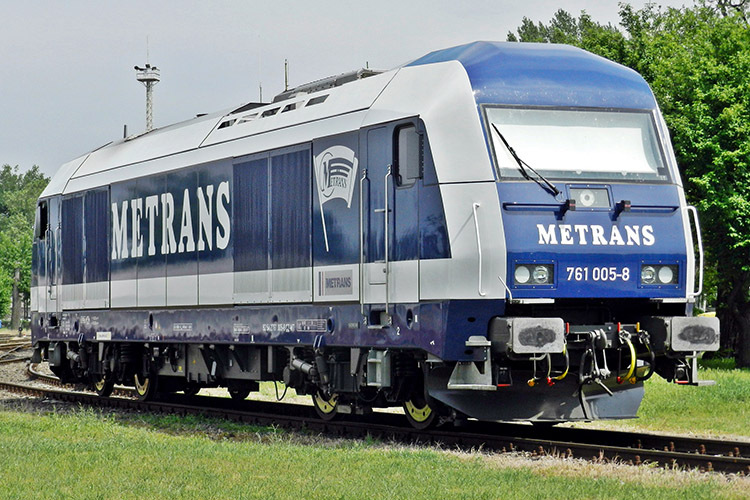 Unit 761 004 was delivered in July 2012, but prior to its delivery METRANS once again ordered three extra EuroRunners. Units 761 005 - 007 were delivered in the early months of 2013. A second-hand locomotive was purchased from MRCE in September 2014. The designated ER 20-002 subsequently entered service for METRANS (Danubia) a.s. In early January 2015, ownership of all EuroRunners was transferred to METRANS (Danubia) a.s.